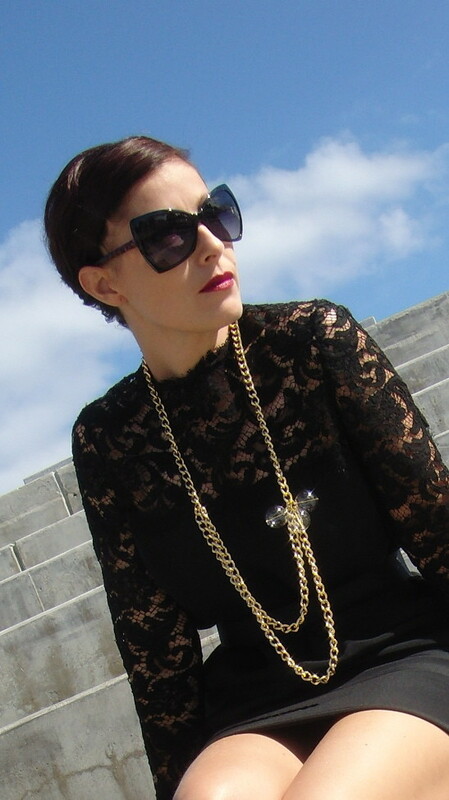 I love lace, and I love those sunglasses! I loooooove your dress......beautiful ! what a beautiful vintage dress! thats quite a find :] thank you for you comment on our blog! sorry it took us a while to get back to you! hope you had a happy new year! oh wow! i love your outfit! so so chic. the lace is wonderful! Love your dress!! super chic!!! Qué guapa estás! feliz año nuevo preciosa! Really pretty vintage dress! The shape of those sunglasses is quite insane, too! Wow! I miss the lovely, warm Miami weather... jealous! !